There are times when nothing beats the smell and taste of freshly popped popcorn. Depending on my level of stress, state of mind, and butter quotient, my choice can vacillate anywhere from Orville Redenbacker Theater Style Butter, to Paul Newman’s Organic, or Healthy Choice Light. The other day I was planted expectantly in front of my microwave, lulled into a hypnotic state by a spinning bag of ballooning Jolly Time Healthy Pop Butter 94% Fat Free Popcorn. Suddenly, I was struck by a peculiar flash of clarity. Wait a minute! The question echoed back that no popcorn purveyor wants to hear: Is this really necessary? Not too long ago I was perfectly content to fire up the stove, jostle the pot a bit, and in no time have an enormous bowl of popcorn. What happened? Is it the mess of one dirty pot? Do I really need all this fancy packaging? Who knows how long it has all been in the bag ― and what preservatives were added to it? What about the cost? Is this really necessary? The next time I had a popcorn craving I was prepared. I pulled out a small clean lunch bag, poured a little popcorn (organic with no GMOs) into the bottom, folded over the top, and dropped it into the microwave, and let it spin. Two minutes later I had a happy bowl of tasty popcorn sprinkled with my latest Popcorn Seasoning Salt. Not so bad for hot and healthy. 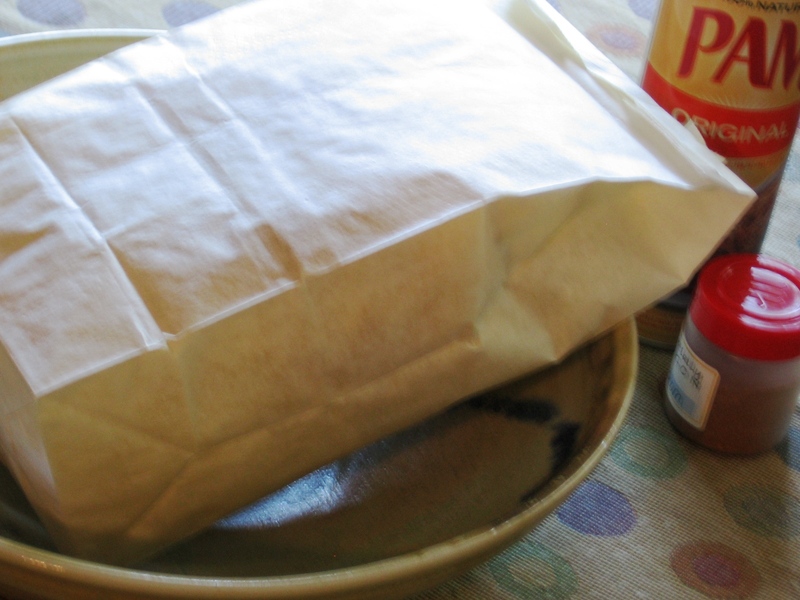 Into a paper bag, pour in enough popcorn to make a layer on the bottom of the bag, about 1/3 cup. Fold the top of the bag over twice and seal it with tape. Lay the bag flat in microwave and pop for approximately 2 minutes and 30 seconds, or until popcorn stops popping. Empty the popcorn into a wide bowl. Spray the top lightly with oil spray and sprinkle with Popcorn Seasoning Salt, toss and repeat. 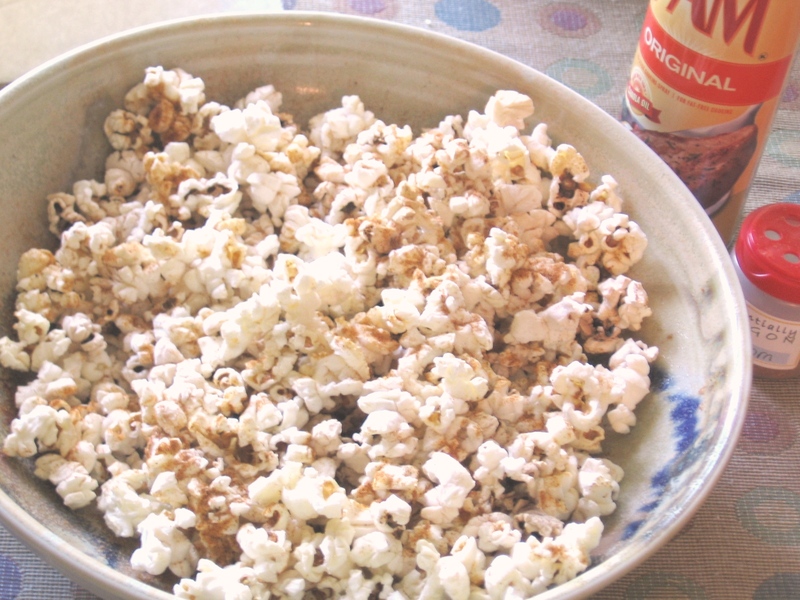 Or, melt butter and drizzle generously over popcorn. Enjoy! Next: Next post: A Facelift!